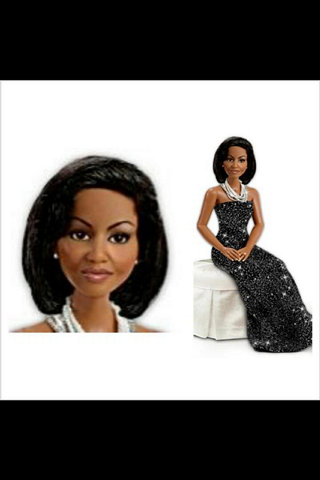 Here you see the First Lady Michelle Obama Sophisticated Style Fashion Doll by Ashton Drake. Isn't it just gorgeous?! This doll would be a great stocking stuffer for that special woman or child in your life. Michelle Obama is such an inspiration to women all over the globe, that having her image preserved in a doll form, that can be referenced for years to come, is definitely priceless.